Legendary sports stars, wannabe dictators and peasant girl turned revolutionary make up our list of famous people born in the year of the dragon. Brave and fearless with a reckless streak, dragons are considered one of the luckiest Chinese horoscope zodiac signs for the Chinese New Year. Dragons are famed for having the fire for a fight in their belly so it’s no surprise to find out revolutionary leader Joan of Arc is a dragon – although she could have done with some wings to carry her away from the English. Vladimir Putin is also proof of the Dragon’s forked tongue – just listen to him tell tales about Democracy- and when backed into a corner and Vlad has certainly chomped up a few enemies. But it’s not all fire and brimstone; Martin Luther King was also a dragon as was Florence Nightingale. 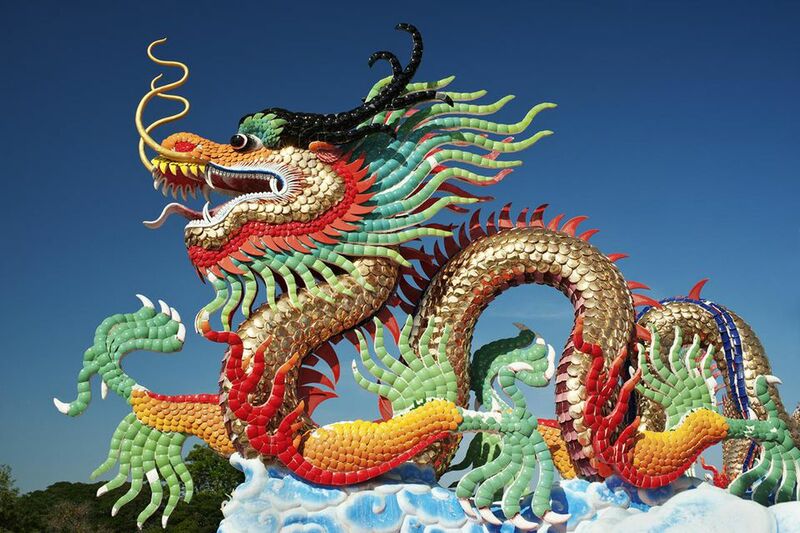 Famed for their impulsiveness and individuality, Dragons have a creative streak and the list of famous dragon actors and actresses reads like the Hollywood walk of fame. Irish duo Colin Farrell and Liam Neeson are both dragons and both said to suffer a fiery temper while more sanguine are Matrix man Keanu Reeves and ex-Friends star Courtney Cox. This years’ most famous Dragon – at least if you’re from Hong Kong - has to be Bruce Lee. Hong Kong’s very own hometown son believed the beasts to be divine, starred in a number of films that featured dragon in the tile and his own biopic was also named after the creature. The ultimate dragon. Living up to their reputation as being artsy types, there are a number of prominent dragons in the arts, including Beatles star John Lennon and Salvador Dali. In the days of yore, Dragons were said to be great listeners and few people who’ve lived proved to have a better set of ears for hearing a tale or two than dragon Sigmund Freud. One player who can certainly claim to have helped his team fly is Pele, one of the very few renowned sports stars born under the dragon zodiac sign.